Analipsi is between two of Crete's prime destinations, Heraklion, 25 km to the west, and Hersonissos, just a few km to the east. 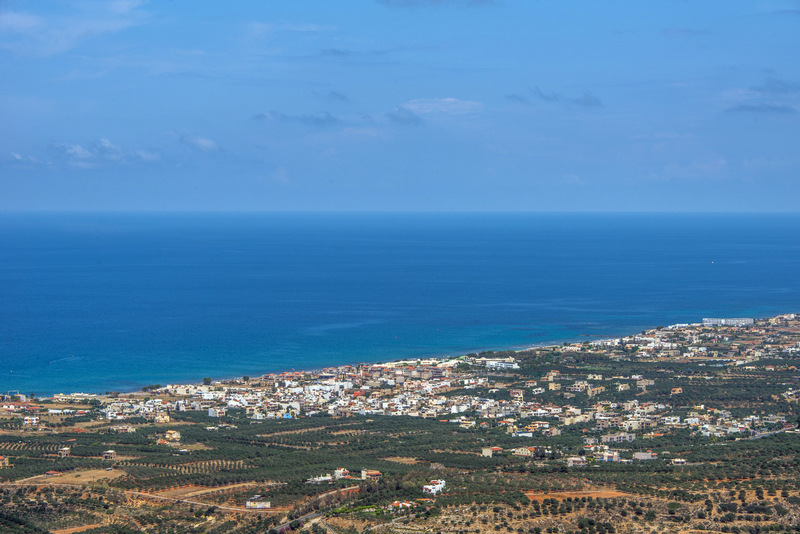 Analipsi saw development as a tourist destination a bit later than other places, thus it presents in some respects a more authentic Cretan experience. The village, set among the fields, fruit and olive groves of rural Crete, hugs a kilometer-long level stretch of land and is a place of white houses with gardens, and tavernas draped with wisteria their entrances, some of which have stylistic calligraphic script-like signage instead of traditional block-style letters. As you enter the village you come to the tiny, picturesque whitewashed chapel of Agia Marina (patron of pregnant women, childbirth, peasants, and dying people, among others). 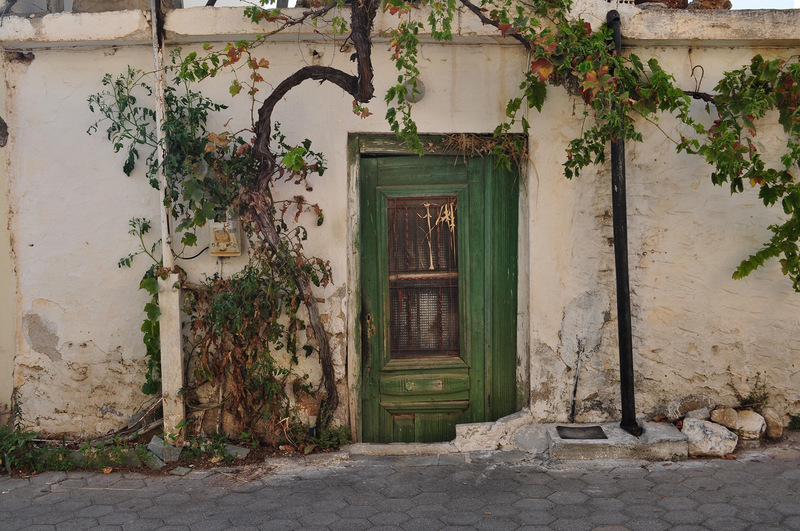 You may be able to cram a half dozen people into this blue-trimmed little jewel, which is a favorite spot for photographers, especially during those golden summer sunsets which Crete is well-known for. 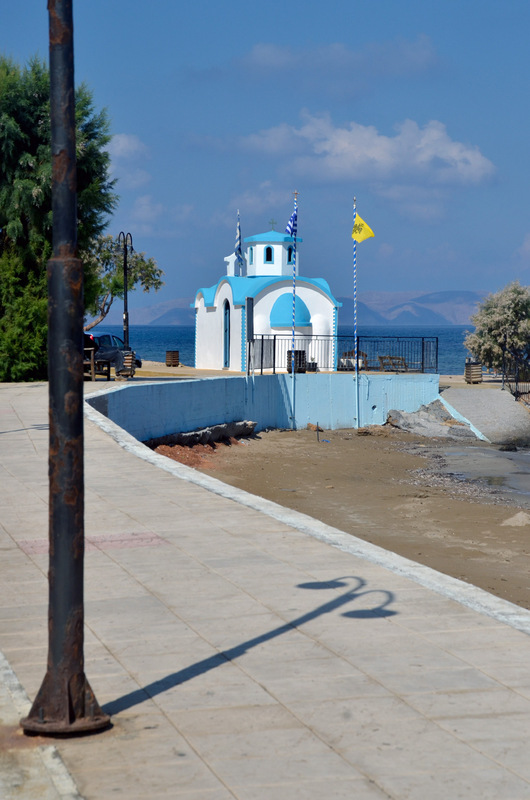 Lyttos Beach is just east of the church. 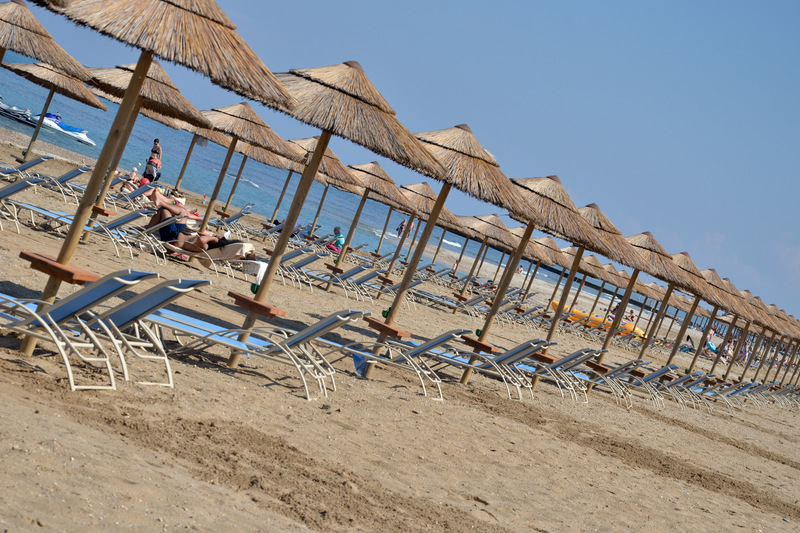 This large, sandy, and well-organized with umbrellas and sun beds is the town's main beach. Since many of the people in the village work fields outside of the village, you'll encounter the occasional farm implement laying around - plows, discs and the like, as well as lots of older people in traditional long dresses, head scarves, or the familiar black of the older widow. The site of villagers setting chairs in front of their houses, chatting, smoking and playing backgammon makes this place look as normal as life can be in rural Greece. The pace of life in Analipsi forces you to slow down to match its rhythms. Life revolves around the central square for the locals, with its cafes and restaurants, and the beaches for the tourists. After some rocky coastline, there are some other beaches west of Analipsi, some of which are good for wind surfing when the conditions are right. Analipsi is a good base for exploring other destinations in Crete, such as Heraklion, the capital, a 25-minute drive away, and the Palace of Knossos, just south of Heraklion. The Lassithi Plateau, a half-hour's drive south of Analipsi, is a scenic rural area of citrus grove, monasteries, and forgotten villages perched on hill and mountainsides. 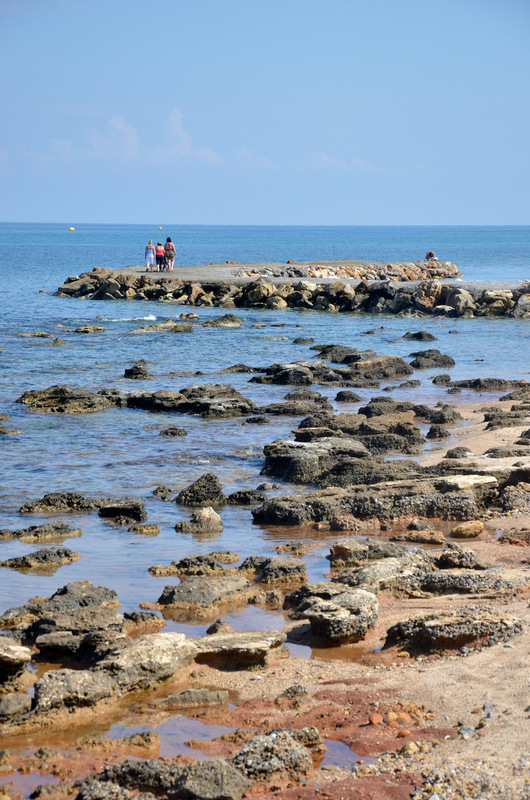 Analipsi is a nice place for a quiet holiday and a taste of the real Crete.